Red Wine, Green Tea and Dark Chocolate: High dose fish oils protect heart from damage after a heart attack. 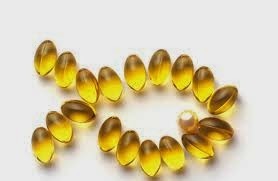 High dose fish oils protect heart from damage after a heart attack. High doses of ethyl ester EPA/DHA omega-3 fatty acids may protect against further damage in myocardial infarction patients, a preliminary study suggests. The study was presented March 16 at the annual meeting of the American College of Cardiology (ACC), held from March 14 to 16 in San Diego. The research included 374 myocardial infarction survivors who received standard treatment and took either a 4-gram prescription-only dose of omega-3 fatty acids each day or a placebo. Using magnetic resonance imaging, the patients' hearts were scanned two weeks, four weeks, and six months after their myocardial infarction. The researchers found that, compared to those taking the placebo, patients taking the omega-3 capsules had lower levels of inflammation and were 39 percent less likely to show deterioration of heart function. There was also significantly less evidence of fibrosis. Patients with a 5 percent rise in the amount of omega-3 fatty acids in their blood seemed most likely to benefit from the supplements. Giving a high dose of fish oil soon after a heart attack appears to improve cardiac structure and heart functioning above and beyond the standard of care. The dose used was 3360 mg combined EPA/DHA in the ethyl ester form. You could achieve that dose in exactly the correct form, ethyl ester EPA/DHA with 5 capsules of Elite Omega-3 Gems from Carlson Laboratories.